A fellow pilot and I got into a conversation recently about an AOPA accident reconstruction. A Cirrus SR-22 pilot was instructed to enter the pattern downwind at Melbourne, Florida, and then was simply cleared to land without being informed about another aircraft on a straight-in final for the same runway. By the time the Cirrus was on base, the tower tried to fix the conflict by urging the pilot to cut a hard right turn toward the runway. The result was a fatal stall/spin accident. I can all but guarantee that controller had forgotten about the Cirrus on the straight-in when he cleared the accident aircraft to land. I don’t know of any controllers that would clear someone to land from the downwind with the intention of them following an aircraft that was on a straight-in. Recovery should’ve been simple, have the accident aircraft just continue northbound and make a 270 to join the final for 9R, once clear of the arriving Cessna for 9L and the Cirrus for 9R. Or, a go-around. Yelling “Cut it in tight” is quite possibly the dumbest thing you can tell a landing aircraft to do unless you’re trying to get them killed. I agreed with him: the controller probably forgot about the Cirrus and his urgent-sounding instruction to “cut it in tight” was a poor move. AOPA concluded that the issue was a communication breakdown, and while that might be a contributing factor, it’s not the controller who is responsible for the flight. It’s the pilot. Despite the stall/spin character of the accident, this wasn’t necessarily a stick & rudder flying problem per se. It seems to me that his error was trying to please the controller, that commanding, disembodied voice on the other side of the frequency who seemingly knows best. A better idea might have been for the pilot to simply add power and climb straight out. Or make a (more gentle) turn. Or anything else, as long as he didn’t stall the aircraft. It’s a shame we pilots feel the compulsive need to follow the flying directions of people who don’t know how to fly. If you step back and look at it from that perspective, the folly of abdicating even the slightest bit of our PIC authority and decision-making power to another becomes evident. But for some reason, this deferral seems to be baked into our DNA, and we ignore that tendency at our peril. Skepticism and a skosh of paranoia are not always a bad thing. In this case, the smarter move would have been to simply say “unable, I’m going to climb out to the north and circle back onto the downwind” and let ATC deal with it. I actively watch for moments like these when I’m instructing, because they present a vital learning experience for the student that might save their hide somewhere down the line long after I’ve left the cockpit. I bet if you played this clip for a dozen pilots and ask them to identify the fatal flaw, most would either blame the controller for the poor direction or the pilot for stalling the airplane. Both made errors, no doubt about it. But if you look at it from a larger point of view, I think the issue was simply trying to comply with a controller directive when the correct action would have been to realize it was patently unsafe to do so. This is all after-the-fact Monday-morning quarterbacking, of course. I can’t claim to know what the pilot was thinking when he cranked into that tight left turn. Perhaps he thought the other aircraft was about to hit him and turned away for that reason. Sometimes immediate action is called for. Speaking of which, I was being coached in the aerobatic box at Borrego Springs a few years ago and while in the middle of a figure — a 45 degree up-line, no less — the guy coaching me called over the radio and said, “Traffic, turn right NOW” and I simply did it. Good thing too, because a Bonanza went right through our waivered and NOTAMed airspace, totally oblivious to what was going on just feet from his aircraft. If I’d delayed by another second I’d probably be dead. On the other side of the coin, I was taxiing out from the ramp at São Paulo/Congonhas Airport in Brazil a couple of months ago and the ground controller gave us a taxi route which required crossing a runway, but didn’t include the runway crossing instruction in the route. That was odd, but in foreign countries it’s not uncommon for them to use slightly different words or phraseology. I asked the other pilot to confirm with the controller that we were, indeed, cleared to cross that runway. ATC replied in the affirmative. Whew! Still, something didn’t feel right. We looked at each other, I set the parking brake, and we agreed that we weren’t going to go anywhere until we were fully convinced that the controller knew exactly where we were. Long story short, our inclinations were correct and ATC was completely confused about our location despite our specifying the exact intersection numerous times. A skosh of paranoia already accompanies most international flying, but this really put us on our toes for the rest of the trip. You’ll hear all sorts of advice on emergent situations. Some say never rush into anything, others will tell you immediate, decisive action is invaluable. It would be lovely if there was a single “best strategy” for every situation, but like many things in the world of aviation, there are times when one of those responses can save your bacon… and just as many when it might get you killed. The real trick is knowing which is which. Great article! Like yourself and many of your readers, I have encountered situations where blind obedience to a controller has caused problems. It seems to be hard-wired into us that whatever they say is gospel. I think for many it probably comes from primary training where the controller is this omnipresent, omnipotent entity over the headsets. The law of primacy has too many pilots holding onto this notion far beyond its usefulness. Definitely an interesting and thought provoking read. Thanks, Brent. I bet some controller will read this post and think to himself, “Yeah but for every mistake a controller makes I see a hundred pilots do something wrong.” And ironically, the fact that ATC does such a good job sort of contributes to the problem, because we learn to trust them and follow their guidance, assuming it’s the best course of action. And it is… until it’s not. The truly egregious instructions can be fairly easy to reject. It’s those “could-be-a-problem but we’ll-probably-be-ok” situations where we have to make some critical decisions. I used to work at an airport and can remember a couple instances where atc gave instructions which were not good. One time they cleared a pilot to descend to 5000 to start an approach which put him in the ice. Another time they gave a vfr pilot on top vectors to an approach in blizzard conditions when 60 miles south there was sunshine. I also can remember when they gave an airline pilot vectors to a localizer approach to a short runway in poor weather. I thought he was going to crash. I asked the captain why he didn’t use the ILS and he said he figured that was the runway everyone was using since ATC gave him vectors to it. I asked ATC and they said they gave him the approach because he was coming from the north and that was the runway he was aligned with. Makes me plenty nervous when an airline pilot doesn’t call upon the years of flying, to disregard instructions from ATC. We were returning from Detroit on a used up 727. solid IFR at DFW and the odor of burnt jet fuel was all through the airplane. Something was wrong with the cabin pressure regulator to add to the problems and our ears kept popping all the way down. I sensed when the pilot locked on to the ILS where he started searching. He kept adjusting power as he started down the slope and all at once the ground came up to meet us….hard but thanks to Boeing, nothing broke. Why continue this approach when Meacham was thirty miles away, clear as a bell. I told the pilot on the way out that I would “Red X” every system on the airplane just to keep it on the ground for a little while. Hi. you have spoken the truth. On the other side of the coin many controller wants to initiate en enforcement action against the flying pilot. For instance a controller issue me a clearance to fly 4,500 on a IFR clearanc to aviod a collition with 2 RW. after the traffic pass ATC called me with a with a possible pilot deviation, after he vericied the tape recording he issued a descent and maintain 4,000. Another ATC mistake was in MCO class B airspce. After departed KSFB, MCO Departure instructed me to climb to 4,500. The clearance gor me inside the Class B airspace. then the individual anounced that I violated the floor of the clss B airspace. I reply to the controller that I was given that altitute and I was in compliance with the clearance. ATC back down. In conclusion, ATC has many great professionals, with the excemption of a few unsafe controllers. or power hungry controllers. I find that my primary training and ground school were just the opposite and dealt with reality. As I said before, “unable” was drilled into us and to always state “student pilot” on the first call to ATC. OTOH if you used “unable”, you best have a good reason. It was not a blank check, and often came with consequences so you might have to explain. It could result in some remedial training. . I came from a non towered field, but we spent a lot of time at towered fields.. I flew with two instructors and I practiced maneuvers. I not only enjoyed them, but took pride in being able to do them well so my limits soon became the same as the airplane’s. I learned early on to offer a 360, or to rejoin down wind so ATC could get an airliner who was sequenced behind my little puddle jumper wouldn’t have to go around. They appreciated it although an understanding, “You’re just fine” sometimes came back. The sooner your limits reach the airplanes limits, the less likely you will need, or want, “unable”. Learn to “communicate” with ATC and you quickly learn what to expect. If you Don’t receive what you expect, clear up any misunderstandings.promptly.. OTOH don’t spend your time second guessing ATC and arguing with them. You might find yourself orbiting out in the boonies for a while. ATC really appreciates flexible pilots. I have a difficult time imagining pilots who don’t like steep turns, or full stalls and always have to fly a stabilized pattern. I became a pilot because I wanted to learn to fly, not just get a handy way to get from point A to point B. I would have purchased an F33C if I could have justified it, but went with the highly modified Debonair. I’m finding that I had outstanding instructors who wanted to turn out real pilots, not a lot of airplane drivers. You don’t have to be in a foreign country to get instructions wrong. I was attempting to leave Houston Hobby many years ago and was told by ground to cross a runway. I started to comply but out of habit looked out to my right to see a passenger jet flaring for a landing on that runway. I just set there until I was satisfied it was clear. Ground came back with “Sorry about that.” I just clicked my mike button, I was too scared to talk. Wow, close call! I always tell people that anyone can operate an airplane when everything’s going well. The reason they pay pilots good money is for that one day in your career when all the holes in the Swiss cheese line up perfectly and some critical choices have to be made under difficult circumstances. Great observation, Bob. I’m constantly surprised by how many people believe following rules means nothing bad can happen. It’s akin to outlawing guns in order to eliminate gun violence. The detrimental effect of increased regulation on aviation is one of my main theses here at the House of Rapp. I liken it to the drag curve we all learned about as student pilots: at the high end of the scale, a minor increase in angle-of-attack is accompanied by an exponential increase in drag. That’s the point we’re at with flight safety. Any further increase in safety will come with costs that will decimate what’s left of general aviation. We are not the only ones coming to that conclusion. Air Facts just published an excellent article on that topic. You were right. That is an excellent article — Well thought out and succinctly written. It should be required reading for every government regulator and every government legislator. You and I know that would be folly, but there are plenty of individuals in positions of political power who would probably be outraged that there was no law against falling asleep while flying an airplane. Probably the same folks who’d express “deep concern” upon learning that ATC doesn’t directly track and control every airplane in the sky. Under ADS-B they will be able to track every airplane. Since they will know where everyone is and who they are, why wouldn’t one think they will not become more controlling? I had to plead with the approach controller for the ILS to KDPA from the South on my instrument check ride. I was very polite. I had asked for that approach (which was the partial panel approach) and at first he turned me North rather than South. I said “Please I would like the ILS 2L.” and he then said “(implied duh), turn to a heading of 200.” Of course he was probably pretty busy, being Chicago Approach. The Cirrus driver should have been listening on the frequency for at least long enough to have heard the other airplane get clearance on the straight in since both were talking to a tower in Delta airspace. I always have my students check for traffic arriving when we are downwind before turning base and on base before turning final. It is a habit to be formed from the very first lesson! We are told during ground training that one of the BAD characteristics for a pilot is an anti-authority attitude. You are correct to look for those teaching moments. When I was first in the pattern if the tower controller *actually* spoke to me I was usually executing his command before I even clicked the mike to reply. My CFI tried hard to break me of the habit. “HE’S not in the plane, YOU are.” I would have gotten killed by that Bonanza, but now I pause, think, consider, reply, and THEN execute. Good point about the anti-authority attitude. ATC definitely comes across as an authority, especially to the student pilot. When we’re starting out, everybody knows more than we do. And controllers know their airport/procedures/airspace so well that not only do they sound authoritative, but most of the time, they’re right and we’re wrong. It’s entirely understandable why it can be such a hard habit to break. Heck, I still find myself blindly doing what I’m told, especially when it comes to making turns when being vectored. I’ll start banking the aircraft or rolling the heading bug while the controller is speaking. I think part of it comes from the need to absorb and readback a lot of information, especially during an approach clearance when there’s a lot to remember: “N12345, you’re 1 mile from SNAKE, turn right heading 210, maintain 2600′ until established, cleared ILS 19R approach, contact tower on 126.8”. The more stuff you can bug along the way, the less you need to remember. But really, I should do what you stated: think, consider (aka LOOK! ), reply, then execute. Your video and photos leave a haunting impression in my mind. While I do not have my own story or account to ad thankfully,it’s amazing to hear my non pilot friends when intake them flying thinking the tower knows more than I do. They think they can talk you down to a landing because that is what the media portrays. In this accident, I’m scared to learn that this 60 degree bank with the full power did induce a stall spin so fast. I am really going to focus on the aerodynamics of flying as I continue my CFI course. I want to add that the tower made some urgent remarks, maybe scared the pilot who did not have the traffic in sight. True, he cleared to land the accident aircraft without even giving a hint of the other traffic. Take it slow, plan ahead and fly that plane! It’s amazing what the terms “minimal fuel” “unable” or “negative” can do for you. I feel like saying “check ” as in a chess match each time. It puts the ball in their court for sure. Re: your passengers, I think it’s pretty common for people to believe the entire flight is controlled by someone else on the ground. One too many viewings of Airplane!, perhaps? “Striker, you’re too low!” It blows their mind to realize we can takeoff without receiving some kind of government permission. As far as the stall is concerned, all that’s required is exceeding the critical angle-of-attack of course. The rapid transition from a low-power descent to a high power climb in conjunction with rapid aileron application would have required some foot work to keep the plane coordinated. In other words, there’s a good chance the aircraft was uncoordinated when it stalled. The NTSB report says as much. I was driving East on Palomar airport road today when a powerful Saratoga six (or something) was practicing ILS to missed at CRQ. I thought about your post just as the wheels came up and the plane began a VERY steep turn to the left along with a climb to go missed They were right over my car! Also, you don’t know how many times I’ve heard “So thats cool you fly, so wait, who do you tell when you want to take off? You just telephone the tower? ” I reply, well,” I don’t have to tell anyone. Sometimes there is no tower, you just go!” ” It blows their mind to realize we can takeoff without receiving some kind of government permission.” Too true. My only question and maybe a criticism is the accident pilot, wasn’t he listening and didn’t he hear the ATC give the other plane the straight in? 1- Loss of Situational Awareness (SA) by the accident pilot. We don’t know what took place in the cockpit, but from the recording it sounds like the pilot was focused on what he was going to do after the landing, not on his pattern entry, not on building a mental picture of the other airplanes and not assuming HIS and only his responsibility for separation and sequencing. He was entering a traffic pattern on a busy day, traffic avoidance should have been his top priority. He should also have followed the controllers instructions, to enter the downwind and hence fly a normal pattern. A clearance to land is not an instruction to make a base entry nor (in class D airspace) is it the same as being sequenced #1. 2- Inability of the accident pilot to safely execute an avoidance maneuver close to the ground. None of us where there that day and no details are provided on this pilot’s training, but being able to safely perform a tight, accident avoiding maneuver close to the ground in a high-performance aircraft should part of the skill set of any pilot that chooses to fly a certain type of aircraft. I’m certainly guilty of getting too comfortable in my own home Class D airspace at times and putting to much of my faith in the hands of air traffic controllers. Our collective safety is dependent on how well we work with controllers and how well each party plays his/her role in the system. I am continuously impressed with the skills of controllers but once in a while, they make mistakes, if we truly work together, these should not lead to loss-of-control accidents. This story should makes us go back to basics, remind ourselves how to operate safely in controlled airspace and re-assert our responsibilities as a certificated pilots. Several people have mused about the pilot’s lack of situational awareness. I didn’t touch on it in the post, but it’s a good point. If he missed a landing clearance issued to that airplane by the tower, that’s a major link in the accident chain and a missed opportunity to resolve the conflict before it even occurred. Controllers refer to having a clear mental picture of what’s happening in their airspace as “getting the flick”. It’s just as important for pilots to have that mental image of where not only they are, but where traffic, airspace, and the airport are as well. Technologically Advanced Aircraft (TAA) help with situational awareness in some ways because they put additional tools at the pilot’s disposal. Unfortunately, even with beautiful screens full of data in front of them, many pilots still lack SA. That’s because the only picture that really matters in the one inside the PIC’s head. In some ways, simpler airplanes build better SA because there’s no other way to get a “moving map” than to create it mentally. We’ll never know if aerobatic training would have helped the accident pilot avoid the stall/spin or recover from it. There are altitudes below which not even Bob Hoover could recover. I’ll only said it couldn’t have hurt. Flying a highly modified Beech Deb, on occasion I would turn off everything except the coms and transponder. Then I’d fly a long cross country of 3 or 4 hours via a watch, ruler, map, pad of paper and pencil. The ones at 5000 and above were easy if you paid attention, even 3000 was fairly easy, but drop down to a 1000 and it took constant attention, many way points, and even though I could turn on the VOR, RNAV (Real RNAV with offsets not GPS) although I also had GPS, if I missed a waypoint that feeling of being lost can be over whelming. A long cross country in a 160 knot airplane at 1000 feet can be a real eye opener. Don’t forget at that altitude to stay away from populated areas and the AI is in the windshield, not in the panel. One of the more memorable things that a CFII did for me was an exercise in following ATC without thinking. I put on blinders and was told to follow his simulated ATC instructions to a nearby airfield. He got me thoroughly disoriented with instructions to climb, proceed, turn, and descend. Along the way, I questioned a couple of instructions, but I always complied. He finally instructed me to take the blinders off… I was nowhere near lined up with the runway as expected…I was not even close to the airfield…and I was descending for landing! I did a full power climb out and we debriefed. He had my full attention. His point was that ATC will not die in my airplane crash. The PIC is always in charge. Since then, I’ve said my share of “unable”. Controllers are human and they certainly do make mistakes. I’ve been forgotten about before as well. I was on a right base for the runway 19R ILS at SNA and there are mountains on the other side of the localizer. When I passed through the final approach course, I spoke up pretty quickly. I’ve also been left on the downwind until over the Chino hills, unable to get a word in on the frequency due to the congestion. As long as I can see and avoid terrain, it’s not such a big deal. But you make a good point: trust no one, stay aware, and if in doubt speak up. One of the worst things I see happen is when students question an instruction and are replied to in a smarmy, sharp, or sarcastic way by the controller. That only encourages students NOT to speak up next time they are in doubt. I’ve actually asked for a phone number to speak to the controller after the flight to ensure they know the effect it has upon the neophyte on the other side of the radio. As a CFI I acquire clients taught by others. For some reason there is this idea that you have to drop everything and respond to a controller no matter what else is happening. Flight instructors may preach Aviate, navigate and communicate in that order, but they do not enforce it as part of the teaching/learning process. Many times I have watched clients, taught by others, who were barely in control of the airplane feel obliged to respond to a controller as if though it were the #1 priority. It took a long time to break this habit, but it is important to do so. My worse case, was a pilot about to land, near the ground, but the approach was a mess. Instead of gunning the engine and cleaning up the aircraft, he keys the mike, calls the tower and says going around as we approached the ground. It took a long time to break his habit and get him to execute the go-around first, take a deep breath and then talk if necessary. There are times were an immediate response is required, but these are rare (collision alert is one of them). If you are not flying, tell the controller to standby. If they do not understand that, talk to their supervisor. Great observation, Dr Z. In general I think CFIs don’t always do a good job of insisting on proper performance from students. One of the things I look at before soloing a student or sending them for a checkride is their relationship with ATC. I want them questioning things that they don’t understand, didn’t fully hear, or simply don’t agree with. The use of “unable” and “standby” bring a smile to my face. Once they realize those aren’t bad words or admissions of failure, they’ve done me proud. I have never felt a need for blind obedience to ATC. Even as a student I had the phrase “can not comply” drilled into me and ground school was a 4 credit hour college course. It was also emphasized in primary training. I have had ATC tell me to follow the plane ahead of me when I couldn’t see the wingtips on my own plane. I’ve been given a “circle to land” directly in front of a departing airliner. I’ve been given vectors for traffic avoidance and forgotten. These were all IFR flights. The pilot should have situational awareness at all times. That way you know what to expect and when from ATC. You know where you are, what runway(s) are in use, and from that you should know what to expect. If you are given instructions that differ substantially from what you expect, clear up the difference quickly. If the “hard right” is preceded by “expedite” , I’d be pretty sure the likelihood of a collision was high. I’d firewall it and roll into s steep turn. That said, I have practiced that scenario at altitude many times and know by feel what the airplane is doing. I also know that in a 2G turn (I wish they had kept that instead of only 45 degrees of bank.) the ASI had better be reading 120 MPH. There is nothing wrong with a “coordinated” steep turn at 10,000, or just above the weeds (except there is little or no room for mistakes) If you know the planes limitations, your limitations and “the feel” in all attitudes and speeds. If not, “can not comply” should be your answer. . IOW, unless the pilot is proficient, not just current, steep turns at low, or even pattern altitude are not advisable. However, in the case given ATC a “can not comply” should have had ATC telling the plane on final, “break right” or expedite right (or left) 180 for traffic avoidance. The unfortunate part is that many pilots do not fly enough, or fly “in the system” enough to question ATC, or to know their limits. They are lost without ATC telling them what to do. Many pilots never do full stalls, let alone accelerated stalls after getting their license. Imminent stalls just aren’t enough to teach recovery. Turning, accelerated stalls need to be experienced to understand them and they sure can improve the turn coordination. Yes you can recover from an accelerated stall, but not without a lot of practice. It requires quick responses and point the plane in the direction it wants to go. Even at pattern speed there should be less than a 100 ft loss in altitude. Even the accelerated stall on the turn to final does not have to result in a spin. Again the pilot has to know how to recover and be proficient at it. Just listen to the tower and watch the traffic at Oshkosh to see who really knows how to fly and who always has to fly a stabilized pattern. I still remember a Blue Bonanza about 10 years ago who seemed to be ignoring the tower. It took 3 transmissions just to get him to put the gear down. After telling him to turn base now! (3 times) The tower’s transmission was…”Awww, Don’t go clear to the lake!” He did, and I think they were happy to just get him on the runway. I don’t remember them giving him a landing spot. Lack of proficiency is a huge problem, no doubt about it. Accelerated stalls shouldn’t be difficult to recover from; it is the same as from any other stall: reduce AOA. I wish more pilots were able to experience them. I think one of the most vital observations one can make about flying is that an airplane can be stalled at any airspeed and any attitude. It’s one thing to say that or read it in a textbook, but quite another to experience it first-hand in the air! It sure is!. When I was getting checked out in the deb which had tip tanks with about 5 gallons in each (momentum) and about the first 30 or so Debs dad no washout. On the first stall, which broke abruptly she rolled inverted. I just rolled it upright. The instructor would only do imminent stalls after that. So when he turned me loose, I spent an hour and a half doing nothing but stalls at 5500 until I was satisfied, Apparently he had never done aerobatics, so going inverted unnerved him. It surprised me, but putting the greasy side back on the bottom is no major maneuver…If you’ve done it before. It is possible that the controller forgot about the straight in. If I don’t like an instruction I get from ATC, I will question it. Please don’t think that there are no controllers that fly. Just retired 38 years working traffic, not hiding in the office, or being a supervisor, the last 25 in a major approach control. I have also flown for the last 36 years, it took me a while, but I do have an ATP. So don’t assume that all controllers don’t know how to fly. I also spent 800 hours in the jump seat of Part 121 operators. I go to recurrent school for the Cessna 421, and am First Officer on the Citation 750. I can speak on this subject because I am one of those people who been “on both sides of the mike”. 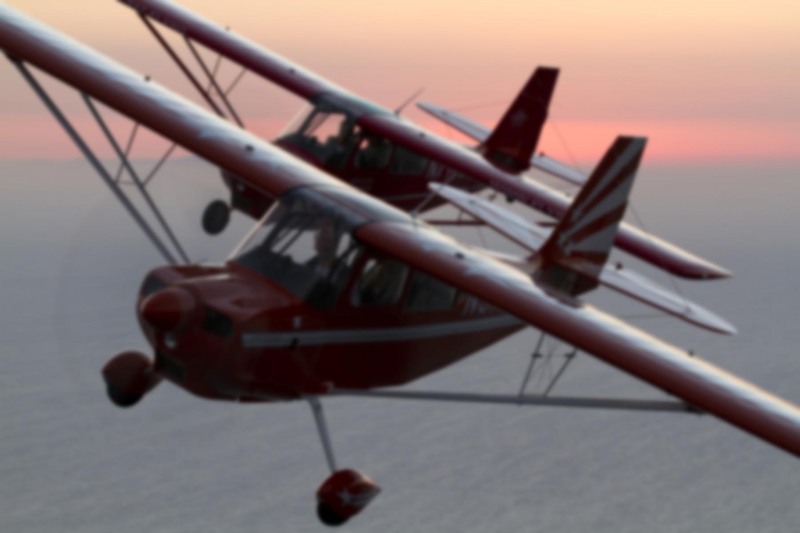 You can clear somebody to land from the downwind even if they are number 2 following straight in traffic, if you feel there is adequate separation, or the downwind pilot has the straight in in sight. Hello Gary! There are definitely controllers who are also pilots. I know a few myself. One of them is also an A&P — talk about being a “triple threat”! Having said that, would you agree that most controllers are not pilots? I think there are also fewer controller-pilots than there used to be. The high cost of flying is hurting people at all levels. The FAA used to have these programs (Operation Raincheck, was it?) where controllers would go on fly-along with pilots, and pilots would spend a day with controllers. I thought that was a fantastic idea. Nowadays it’s like getting into Fort Knox if you want to visit any FAA facility. Likewise getting into the cockpit if you’re not a pilot. Also, if you are one of those types to let ATC figure it out and dumping on them, maybe you should look to operate more at a non-towered field. I knew I was putting a pilot thru when I gave them an instruction. If they cannot do it, then they say unable. Plan B will come up. Or even take up a more forgiving pursuit. We had a student on the field who did very well on his primary training. Almost a model student IIRC. The day before his check ride, he went out to put a little polish on his landings.He had done 2 very nice landings, but He was a bit high on final for #3, pulled a little too much power which made him low, he hit the power which brought the nose up, he again pulled the power (while nose high. The plane reversed direction from steep up to steep down and turned it into a lawn dart on the asphalt. That was the first indication of any problem, but “stuff” does happen. He went on to earn his license after a bit of remedial training, just to be safe. I understand there was no problem with the written, or practical. He was turning out to be a pretty good pilot …Except after 1 year, “minus one day”. It was a bit windy, but nothing even a student shouldn’t be able to handle as it was right on the nose. He found he was low, so a bit of power and he was soon high. Instead of trying for a normal landing farther down the runway, or going around, he forced the 172 on (he wasn’t all that high), but that ended up with the inevitable PIO which of course his inputs were 180 degrees out of phase and as usual, he turned it into a lawn dart right in front of the FBO’s. It was the same scenario as before, but not as steep. In either case he put a set of shoulders in the 172’s wings. Totaled two airplanes in one day under a year. The the FBO’s insurance went through the roof. The FBO remarked “If he’d just waited another day, I wouldn’t have had two totaled in one year”. I do have to hand it to the pilot though. He never flew after that. I think he thought about totaling two planes and only getting a few minor bruises, had about used up his quantity of luck. I appreciate that you’re doing a good job of walking the fine line here that’s inherent in knowing when to refuse an ATC instruction. It’s a tough topic to address. Just one thing to add: make sure that if you’re going to say “unable”, that you have a legit reason. Will it exceed the safe limitations of your aircraft? Unable. Is it going to put you into clouds and you’re VFR? Unable. Is there traffic that the controller may have missed (or, due to radar or vision limitations, can’t see)? Unable. But I’ve also had pilots try to Unable instructions because it wasn’t their preference — say they wanted an opposite direction approach at an airport where I already had people lined up on the other side. Or were upset that they received a short vector due to higher priority traffic (just because you don’t hear a medevac or emergency announce himself on frequency, doesn’t mean that they’re not there). That’s irresponsible and unsafe. Don’t unable just because you don’t like something, but go ahead and do it if things are unsafe. Safety reasons, regardless of any heat you may get, are always acceptable. Incidentally, it drives me up a wall when I hear another controller give a pilot a hard time. I don’t think it’s ever excusable, but understand that in some cases, you may be talking to a guy who has 30-40 planes on multiple frequencies, is handling a mountain of landline coordination, is dealing with the same FAA management ineptitude that drives you nuts, or is just plain worn down after 20 years of the rare student pilot making dangerous turns through his traffic. It happens. Try not to take it personally, and go ahead and call the facility if you’d like clarification. Thanks for the controller perspective, Brendan. Like any other tool in the pilot’s arsenal, the “unable” call can certainly be abused. I hope nobody is using it that way; that only cheapens it for the rest of us. “Unable” should mean just that: unable to safely comply with the instruction. It’s so hard to know what’s happening on the controller’s end. Are they swamped? Just cranky? Being monitored by a supervisor? New to the sector, or covering multiple frequencies? Same goes for the pilot side. Controllers might not be aware of how busy certain phases of flight can be. It’s one of the reasons I wish the pilot/controller exchange programs were still in place. I think they’re eye-opening for all involved and really help contribute to sense of understanding for “the other guy”. I purchased a low time C-172 that was squeaky clean in every respect. A pilot friend was looking at it one day and remarked, ‘Sweet little airplane but if you ever fly a C-182 or a Bonanza you will never be happy with it.” He was right, I flew it over 1200 hours but was never truly happy with it. Slow, low payload. Before I sold it I rented a C-182 for a weekend fishing trip. He was correct.